Ultra spectator Wendy Swinton has been actively spectating since 1998 when her son Adam Campbell began competing as a triathlete. Wendy can be seen spectating at triathlons, 10k’s, and half and full marathons. She has also upped her skills and is now an ultra-spectating veteran of races ranging from 50k to 100-mile distances. Her first ultra-spectating experience was the Chuckanut 50k. She has worked hard to improve her skills with a rigorous and diverse schedule including hours researching races on the Internet and traveling to races far and wide. Look for Wendy in various spots along race courses laden with bells, whistles, signs, clappers, camera, and stopwatches. You can recognize her by her cheers and frantic animation. Wendy will always find her way to the finish, exhausted and spent, but giving it her all (even when her voice gives out). In this article, Wendy uses her wisdom and experience to pen her tips for ultra-spectating success. Wendy Swinton gives some motherly support at Ironman Canada. Print out a copy of the race course to bring with you. Study the elevation gains, where the aid stations are/how far apart they are, and where you can find an access point to watch competitors pass. Find out the race-bib number of your athlete and what they are wearing so you can recognize them from a distance. Download and ‘follow’ all the race apps and websites on your phone including the race website, Twitter feeds, iRunFar, etc. Make sure your phone (and camera) is fully charged. Know your athlete and discuss with them ahead of time how long they expect each segment should take (on a good day), and where they hope to be positioned against their competitors. Know who their main rivals are as this will give you a good sense of how your athlete is doing as others race by (or follow behind). Dress for the elements. As much as your heart rate will rise along with your blood pressure, spectating will not heat you up (or cool you down), and there will be a lot of time spent anxiously waiting around in all sorts of weather conditions that can change as the day/night progresses. Bring binoculars. Now your training/prep work is done and you are ready to see your athlete off at the start, but give them their space. They are focusing, warming up, and getting race ready. After the race has started, get to the next viewing/cheering point as soon as you can. This could be an aid station or an isolated spot along the course where you know they will be given a boost by having someone there cheering them on. (Midway through a particularly difficult section would be ideal–but this may not be accessible to we mere mortals before the ultrarunner arrives.) Just make sure you don’t obstruct any racers or officials. Repeat #7 as often as possible throughout the race. Get to the finish line where there may or may not be parking. As you may have a long walk, put that into your timing to arrive on time to see your athlete complete their race. After the race, they will want to debrief the race and the course as well as their their ups and downs with other racers. They’ll also want to congratulate the winner (or be the recipient of the congratulations), and get some calories into them and perhaps have a massage. So repeat #6–give them their space. Time for sleep, but remember that as exhausted as you are from screaming your lungs out, jumping up and down in excitement, and as ready as you are for bed, your ultrarunner will likely have a hard time shutting down and sleep will not come easily. Adam Campbell’s family cheering squad. We’re hoping Wendy’s tips can be a jumping-off point for a fun discussion on ultra spectating. Are you an expert ultra spectator? If so, share with us your wisdom and tips for watching an ultramarathon. Have you spent time on both sides of the coin, both as a runner and as a spectator? If so, what have you learned as a runner that can apply to ultra spectating? This article is AWESOME!! 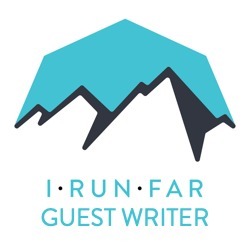 Having a friendly face on the course can make all the difference in the world and I'm sure it could be daunting for first time spectators to follow their runners around in the mountains all day! Another bit of advice I would like to add: Unless there is a convenient spot to stop for lunch along the way, bring food and water! You're going to be out there for a long time! These are great tips for any spectator. #5 about dressing for the elements is especially wise. Your runner might dress a little light since they are running, after all. You, on the other hand, will be doing a lot of quiet waiting. If it's cold or wet, dress like it's cold and wet! If it's muddy, wear boots! * Know where the publicly-available rest stops are. Most ultras have numerous rest stops, but they have a small number that are more easily accessible for spectators. Check the race website, or talk to someone involved with the race on race day to find out which rest stops you can see your runner at. * Be prepared to drive or walk very far (and budget that into your time). We're talking about races that are 50-100 miles at times. Rest stops you can get to are rarely going to be right next to each other. You will likely need a car to cheer people on beyond the start and finish line. And it could be quite a drive (20+ minutes). So budget that travel time into your cheering schedule. If you don't have a car, make friends with the race staff. They are likely shuttling water and food back and forth and will be happy to include you in one of those trips. Especially if you ask nicely and volunteer to carry something. Print off google map instructions – don't assume your GPS will work in all spots or recognize obscure roads. Between everything you'll find your way. Take a picture of your runner pre-race so that you remember exactly what they are wearing. You will forget. Bring back up batteries for your electronics. Halos are scattered all over our minivan. Take care of your self – assume there's no place for real food, throw in a sleeping bag for naps, a flashlight, wipes,and pepper spray are always on my list. Lots of plastic bags for muddy wet runner clothes. Put glow sticks on the kids so you can see them running around the dark aide station. A few bottles of Five hour! It's a long day but then you have to drive your runner home! thanks Adam. You have made cheering exciting. Love this. Also never underestimate the value of the chair. My boyfriend never used a "camp chair" in all our years of camping, trail racing, surfing, climbing etc until he started spectating ultras. I guess that was the breaking point…now we love the fold up, carry-able chairs. Also, default to saying yes to bringing the down jacket and/or rain jacket and/or sun protection for yourself. Seriously. It might seem like it "probably won't rain" but 8 hours of rain later, or 8 hours later when it starts to rain and its getting dark, all of a sudden its the best idea ever. Love it! It’s so fun to hear from an ultramama! I have to say that I think Wendy’s advice about giving your runner space is a good one. It took me a while to feel good about letting my guy go and knowing we’d have to catch up later. I try to bring extra clothes for hot or cold weather. Extra socks and gloves are great on a wet day and sometimes a fresh shirt can do wonders on a hot one. I think this was mentioned, but I like to have a clipboard of all pertinent race information with me, admittedly, this is partly because I’m not as technologically advanced as Wendy, haha. Also, having ziploc bags and ice can come in helpful for your runner or someone else who might need to do some icing. I love the idea of putting glow sticks on your kids! Funny and practical. And I’ll reiterate someone else’s comment – bags for stinky, dirty clothes are great. You’ll all be exhausted, no need to offend your olfactory sensibilities! Awesome article! Great work, Adam's mom! I would add that if you are in an area where there is cell coverage (which I know is unlikely at a lot of western events in the forest, but more likely on road ultras and those in the east), it is really helpful to put the course map on your phone using the Google Earth app. I've done this by manually creating the map in Google Earth (or see if the RD has a .kml file! ), then importing it to MyMaps in Google Maps. Confirm that all the pieces made it through (I have sometimes put in mile markers and they don't always upload on the first go-around) and then open your Google Earth app (making sure you are logged in using the same gmail acct that is attached to your MyMaps acct), go to the menu, click on MyMaps and then select the file you uploaded. Then you can see where you are (via the blue dot) in relation to the course. This is also handy on marathons when spectating in cities you are not familiar with!